An empty growler and a growler card make a gift that keeps on giving! A growler card is a stamp card that allows you to fill up your growler with any of the 6 beers on tap, up to 4 times. Lock Street’s beer glasses are also available, and go great along with a classic 6-pack of the three beers they have available in cans – the Jealous Mistress, Port Side Pilsner, and their Industrial IPA. Their gift packs are on the way, but Exchange does have several beers that are perfect for holiday gifting, including their limited edition Winter Warmer, limited edition Spontaneous Ale, the Golden Ale, and their Foreign Exchange Stout. Kame & Kettle accessories are a must-have for beer fans! They have everything from t-shirts and toques to crowler crates and carriers. If you have a hard time deciding, they also have gift cards available – plus, their online store will be up in December, making gift buying even easier. Niagara Brewing Company is bringing back their Niagara Icewine Beer just in time for the holidays! This limited-edition brew will be available in early December and can be enjoyed on tap or purchased in bottles at the brewery. Their Niagara Icewine Beer blends the complex flavours of Icewine with the bubbly goodness of beer and is a brew that both beer and wine lovers will enjoy. 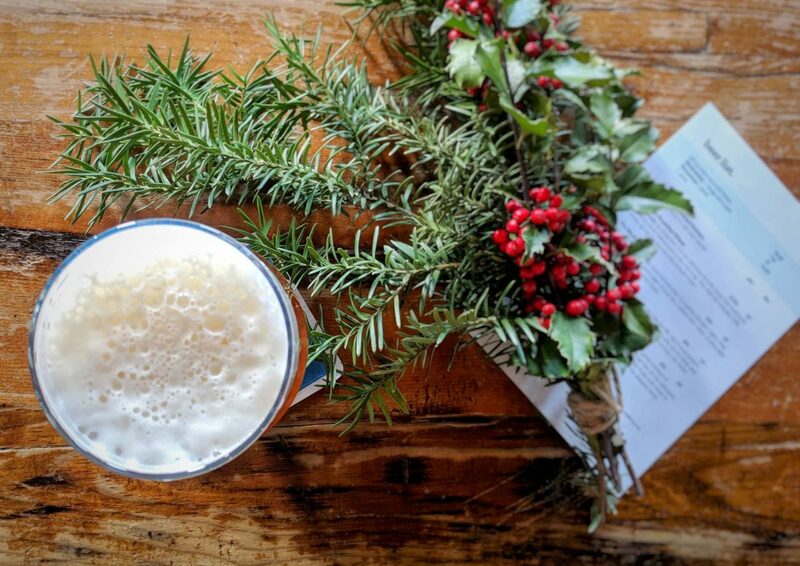 Silversmith is all about giving year-round, with their “Somebody Loves you and Brought you a Pint” gift cards – these make great stocking stuffers, or can be put into holiday cards. Plus, there’s always their infamous “pint board”, where you can buy someone a pint in advance, and their name goes on a board so they can pick up their free pint the next time they’re in the brewery! Silversmith’s limited beers are also a great idea for giving one-of-a-kind beers to the craft beer geek on your list. Beer swag is always a good idea for those who love beer and like to say it loud and proud. Luckily, Taps has branded hoodies, tshirts, and hats, as well as growlers and gift cards. One stop shopping! Support your local craft beer markers this season, and grab some fantastic gifts while you’re at it. Visit any of the breweries on the Niagara Ale Trail, and get ready for the holidays!